Your landscape design is one of the first things that will make visitors create the first impression of your home. Incorporating water features in your landscape brings texture, sound, and movement to your landscape. Water features help create a unique and more natural look to your overall landscape design. Water elements used in landscape design are always eye-catching. While they are more for the aesthetic design the water elements need to complement each other to become functional. A fountain is the most popular water feature. The soothing sound and sight of moving water provide the enhanced appearance of your garden. You can have a choice between a wall fountain and a freestanding fountain. Both can be constructed in a variety of designs and styles. Many landscape designs often start with a pond. A pond can be made in any shape or size. It can have a natural appearance or can be of any style. Depending on the size of the pond chairs can be added on the edges. Waterfalls are often a component when making a natural pond. It can also be incorporated into the design of the swimming pool. Streams are a natural component of any water design. They can be part of a waterfall and pond. They may also be made to naturally flow on their own. Birdbaths can be made from a wide array of materials and come in several sizes and colors. They are meant to attract wildlife to your into your garden. There are limitless options available to incorporate water features into your landscape design. Before starting on your landscape design, decide on the water features you want to include. You then choose water accessories that will reflect the style of your garden and home. Most modern-day landscape designs incorporate water features. Aside from the added aesthetic appeal they bring to your garden, water features bring a lot of natural benefits to you and your environment. Living in the city prevents you from enjoying nature. You can bring the sound nature right to your doorsteps. Water features allow you to enjoy the sounds of nature. The sound of flowing water can soothe your mind. It emits negative ions that can reduce your stress levels. The sound of flowing water can also calm and relax your mind and body which can have a positive impact on your overall well-being. Sitting in your patio with a water feature nearby and listening to the cascading water will wash away all the stress you have accumulated the entire day. Your mind and body will be calm and you will be able to relax and feel much better. Humid aid assists in breathing. Without humid air, your lungs will need to work double time while breathing. Water features functions as a natural humidifier. The sound of water flowing from a waterfall or fountain in your garden can to a great extent absorb the noise pollution in the environment such as barking dogs in the neighborhood and traffic. Flowing water emits negative ions. Negative ions are odorless, tasteless and invisible molecules which are inhaled during the breathing process. Flowing water acts as a filter for pollen and dust. 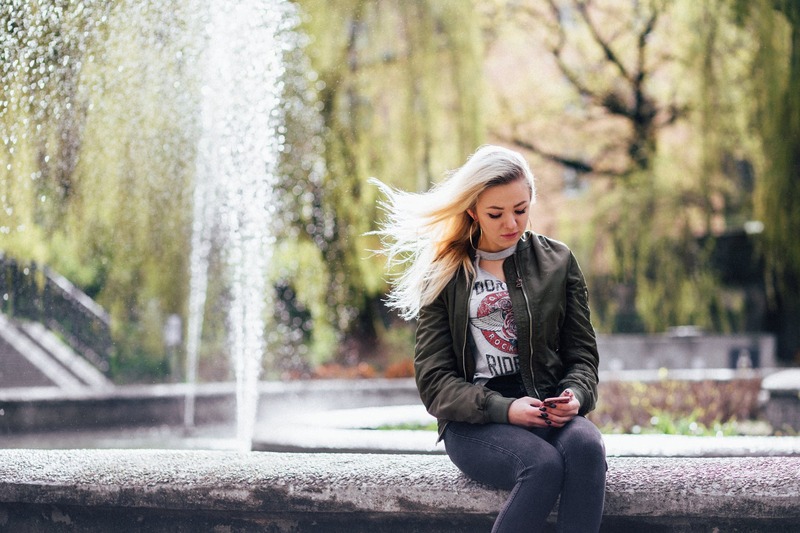 Water features tend to attract pollen and dust which would otherwise float in the air and affect members of your family that are prone to allergies. It also improves the quality of the air you breathe. It is important though to clean the water feature or its catch basin to get rid of collected dust and pollen. With a water feature installed in your garden, birds will start to fly around your garden. This will turn your garden into a haven for such wildlife. The presence of birds and even dragonflies hovering over your property will be a welcome relief that will provide many hours of entertainment. Most homeowners build water features in their garden because they provide an amazing visual effect. A fountain in the middle of a well-manicured lawn surrounded by beautiful flowers is always a beautiful sight for your visitors. A well-designed waterfall or pond in your landscaping will definitely increase the curb value and consequently increase the resale value of your property. Water features are low in maintenance. 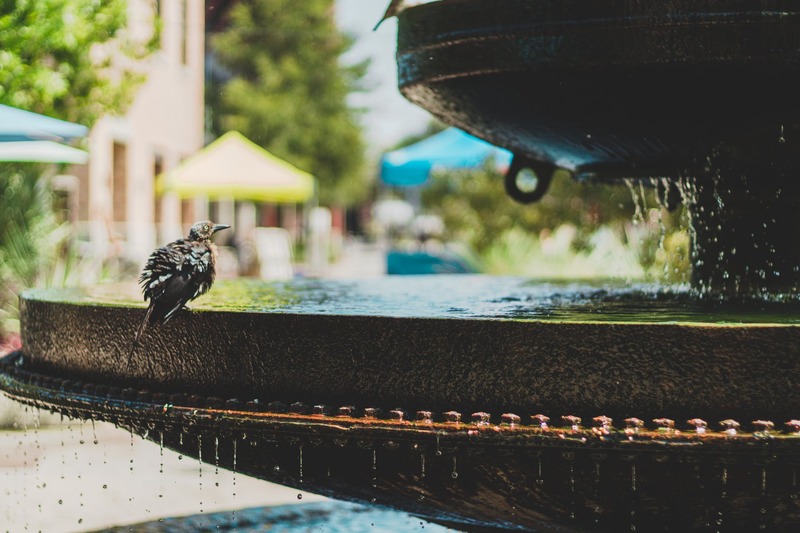 Water flowing in wall fountains, waterfalls, and pondless water features basically just re-circulate so they do not consume too much water. They are not breeding grounds for bacteria, too. 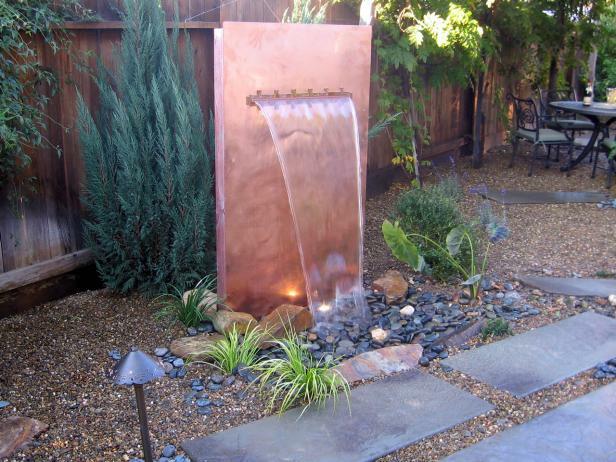 You can design a water feature to fit in your small yard. Pondless water elements only require a small space but you can still enjoy the soothing sound of water and invite wildlife into your garden. Small and awkward spaces can be focal points for small-scale water features so you do not waste precious spaces in your garden. Water features are able to customize your garden to give it a one-of-a-kind look. Every detail of your water feature can be designed based on available space and your preferred design. You can design and add rocks and stones to surround a water feature. You can also adorn the pond with antique looking items to create a sunken ship appearance. Whatever water feature you decide to build in your garden should be well designed to fit into your landscape design. 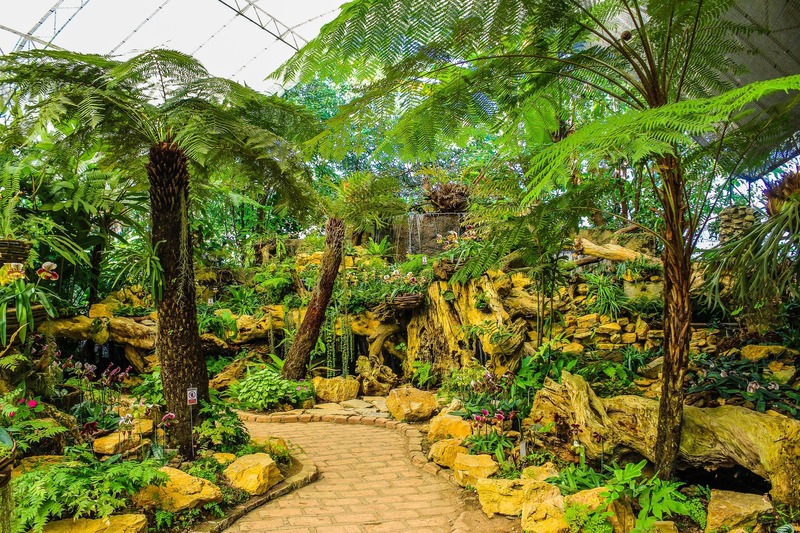 A professional landscape designer knows the right spots where to install a particular water feature so it will not be a sore thumb in your garden but instead be a natural extension. Working with a professional landscape designer will make sure that your water features are well designed and placed on the right spaces. It is also highly recommended that you make a professional landscape contractor install your water features. This is to ensure that they are done right. Did you like the article? Then please visit South Florida High-End Landscaping. Feel free to read our previous blog about creating your own edible landscape.